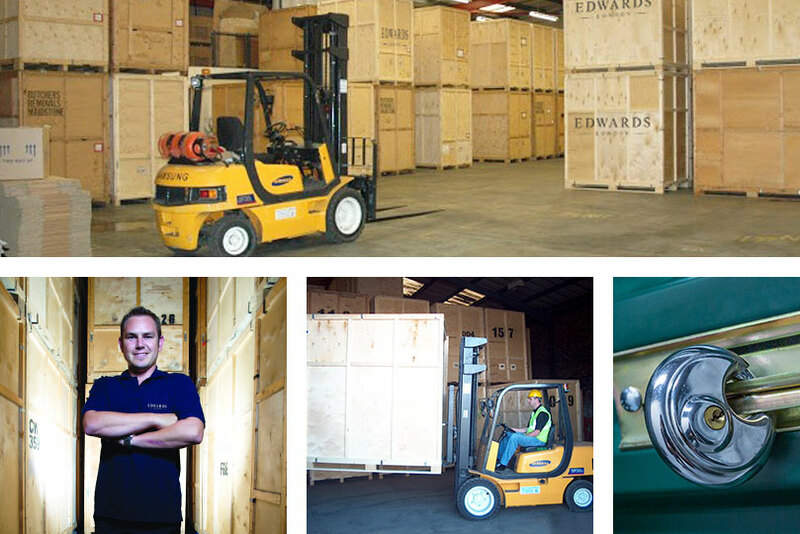 As well as executing first class removals and relocations, we also offer comprehensive storage solutions here at Edwards Removals, thanks to our excellent and highly secure storage services. Our deep storage facility in Gloucestershire and our two warehouses in central London give us the flexibility to meet your short and long term storage needs. Whatever you want to store and whatever the quantity, we can be of assistance, and our completely flexible services mean we can provide both long term and short term storage. Our storage is processed using containerised storage units, all of which are loaded by our team, inventoried for your complete convenience and secured with number seals. We offer a completely project managed service and can even do all your packing and unpacking for you, making your relocation or storage project as simple and stress-free as possible. Dry, clean, secure and fully protected by an innovative Redcare alarm system, our storage facility is the premier choice throughout London. We have a wealth of experience dealing with high value storage, such as antiques and fine art, and also offer car storage services. So whatever your individual requirements, get in touch with the friendly and highly experienced team at Edwards Removals today. We offer a completely project managed service and can even do all your packing and unpacking for you.